Menubar item copies current date and time to clipboard. Is there a better alternative to LSDate? Is LSDate really the best app in System category? Will LSDate work good on macOS 10.13.4? 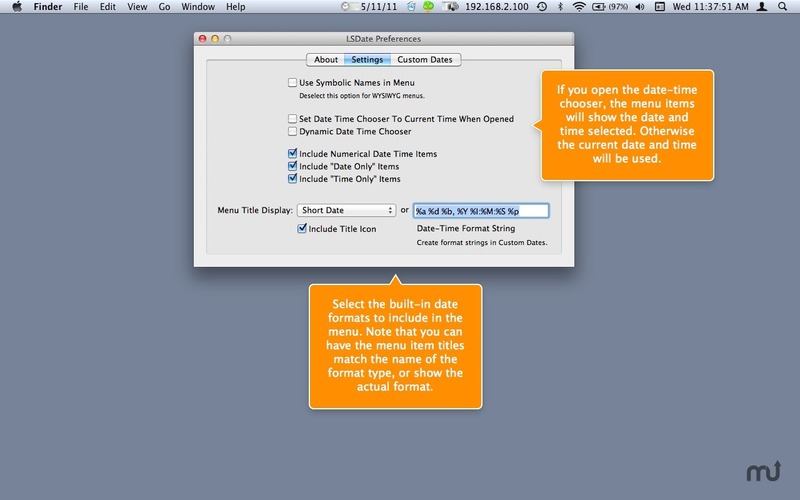 LSDate* is a menu bar app which copies the current date and/or time, or a date and/or time chosen from a calendar-clock control, onto the clipboard when a menu selection is made. The menu items display various standard and custom formats which are selected or created in the preference window, respectively. 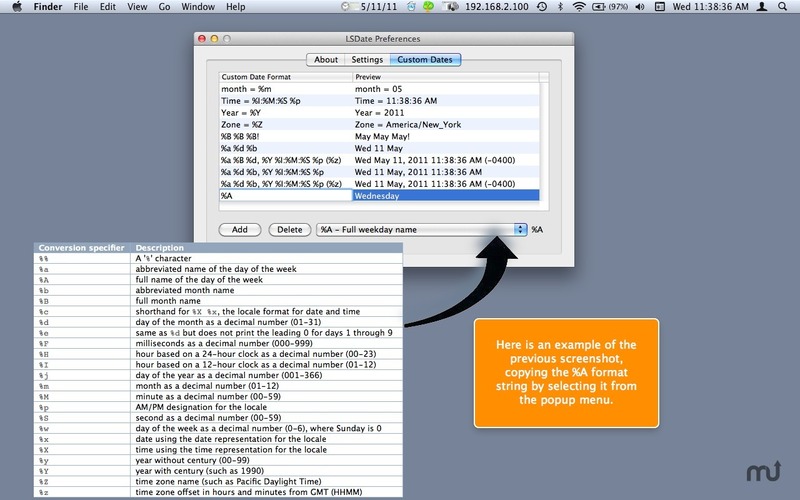 This app also displays the current date and time in the menu bar, in various built-in and custom styles (using date-time format strings), chosen or entered, resp., in the preference window. 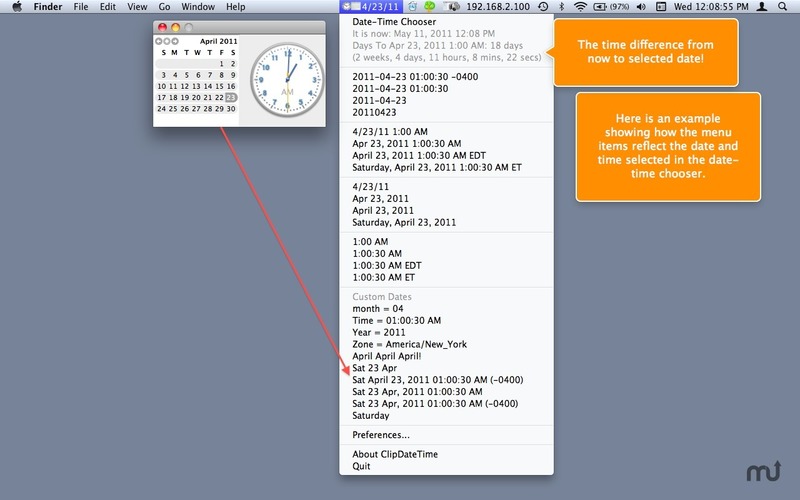 Added the ability to specify the menu bar display date-time using date-time format strings. LSDate needs a rating. Be the first to rate this app and get the discussion started! When a date and time are selected in the calendar-clock control the menu displays the time difference between the current date its selected date, at the top of the menu. 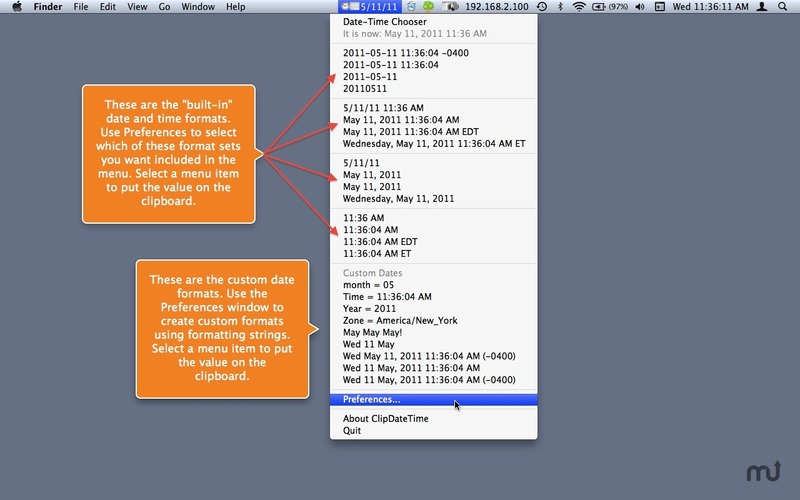 *Note: LSDate is called ClipDateTime in the Mac App Store. 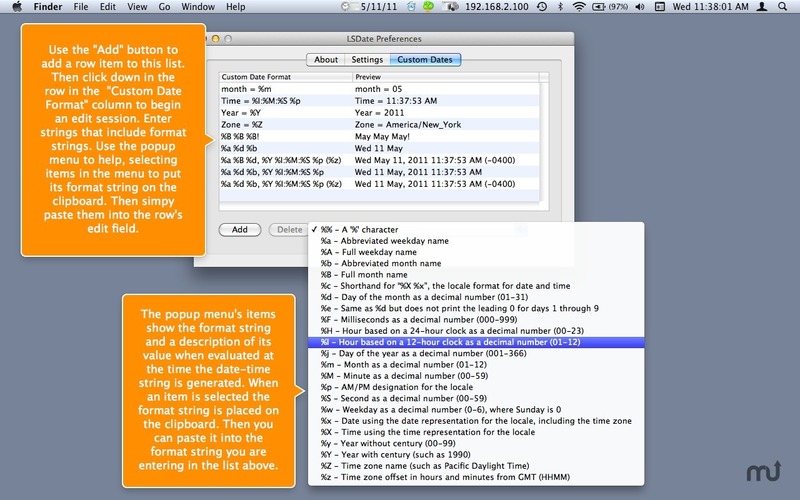 LSDate is a member of the Utilities Bundle: http://www.limit-point.com/Utilities/. Your registration (purchase) of LSDate provides you with an access key to ALL the utilities, not just LSDate. That's a great deal for just $14.99. Check it out!